Cristina Celestino was born in 1980 in Pordenone. 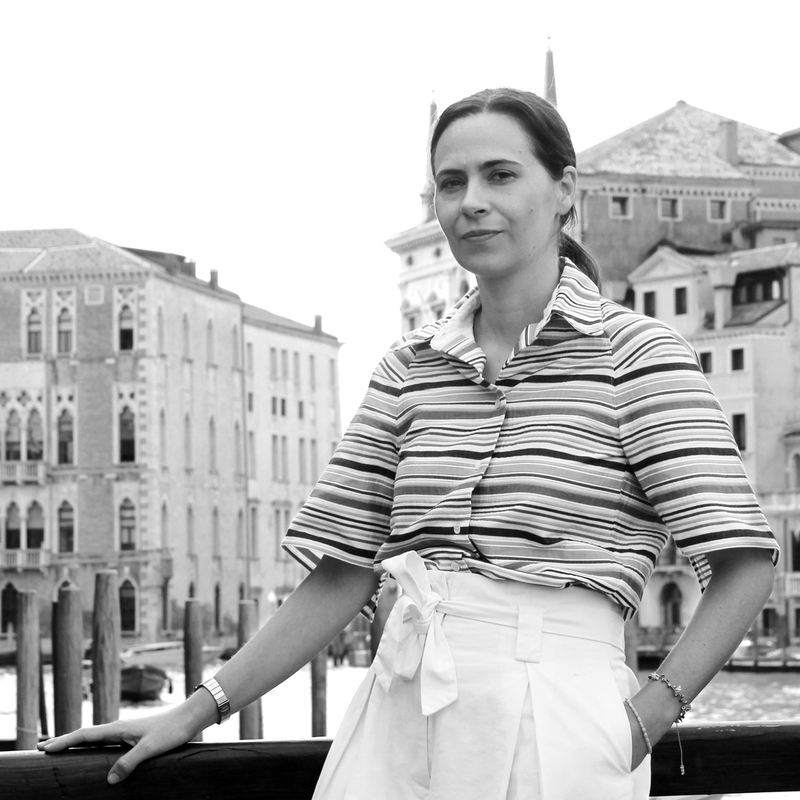 In 2005, after graduating from the School of Architecture at IUAV University of Venice, she worked with prestigious design studios, focusing on interior architecture and design. In 2009 she moved to Milan, founding the brand Attico Design to produce lamps and furnishings based on painstaking research on materials and forms. In 2012 she was selected to take part in the Salone Satellite. Following this important experience, the projects of Attico Design have been shown in many international galleries and showrooms. As a designer and architect, Cristina Celestino creates exclusive projects for private clients and companies. Her work also extends to creative direction for companies, and the design of interiors and displays. For DesignMiami 2016 she designed the Happy Room collection for Fendi. In 2017, for Sergio Rossi, she created exclusive interior design and a collection of furnishings for the concept of the new boutiques. Cristina has received many international prizes and honours, including the Special Jury Prize in the “Salone del Mobile.Milano Awards” in 2016, and an Elle Deco International Design Award with the “Plumage” facings project for BottegaNove. Cristina Celestino is an avid collector of masterpieces of Italian design and a curious investigator of objects: her work is based on observation and research. In her projects, driven by in-depth exploration of the potential of forms and functions, there are historical and contemporary references to the worlds of fashion, art and design. The fil rouge of her creations is clear, rigorous use of geometry, in a process of careful manipulation of traditional forms: her projects also feature variations of scale and brilliant little inventions, playing with conventional messages and hidden, unexpected meanings.